When the University of Central Florida flew to Memphis, its unbeaten record in tow, most fans would expect another decisive win as UCF built its playoff bid. What they got instead was a nightmare scenario in the pouring rain, trailing by three scores at halftime a thousand miles from home. Heupel, on 4th and 1 at his own 29 and desperate for a momentum shift, went bold to take his back off the wall. Taj McGowan and Trysten Hill plowed right through a crowded defensive line and made a fast break downfield for a touchdown. Memphis would be outperformed the next thirty minutes, unable to score another point to compliment the thirty earned in the first half. The game drew a rating of 2.4 (3.9 million) when College Football’s playoff-hopeful was on the ropes on ABC, ESPN2, and every Saturday score ticker 17-30 behind the 4-2 Tigers. The Knights played to their advantage (a McKenzie Milton under pressure) and led with a QB keep to close the score at 31-30. 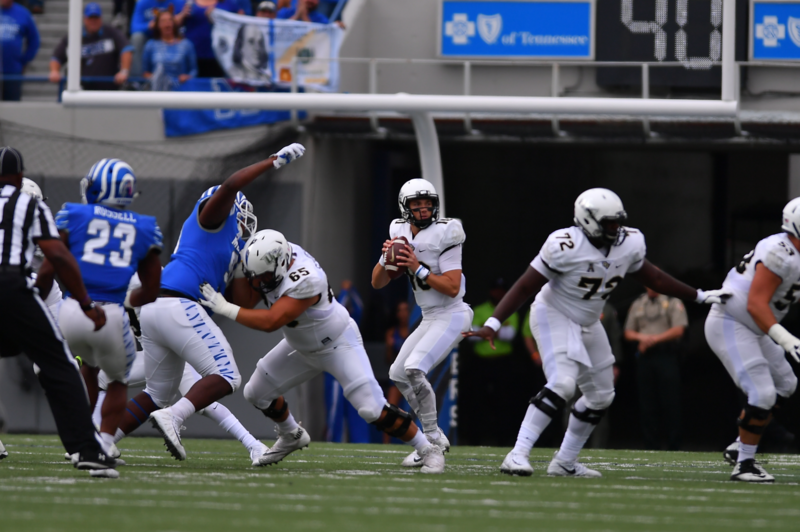 Memphis would lose time rushing to a scoring range and Mike Norvell’s nightmare encounters with UCF would renew.